When we opened our new store in Hamburg in early 2007 we had many things we wanted to accomplish. All of those things boiled down to one thing - making sure each and every customer perceived our dealership as a better way to buy and service a vehicle. That's one of the reasons we named our Hyundai dealership "Freedom." It's that very thing that car buyers don't get at most dealerships. So you'll find plenty of "Freedom" at our dealership. 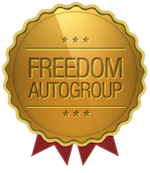 As part of our effort to express our life improvement philosophy, we offer all of our customers the Freedom Four – a series of benefits that comes with the purchase of any new or used vehicle. This includes free lifetime state inspections, a free car wash whenever your car is in for service, a free rental car, and complimentary drop-off and pick-up service. 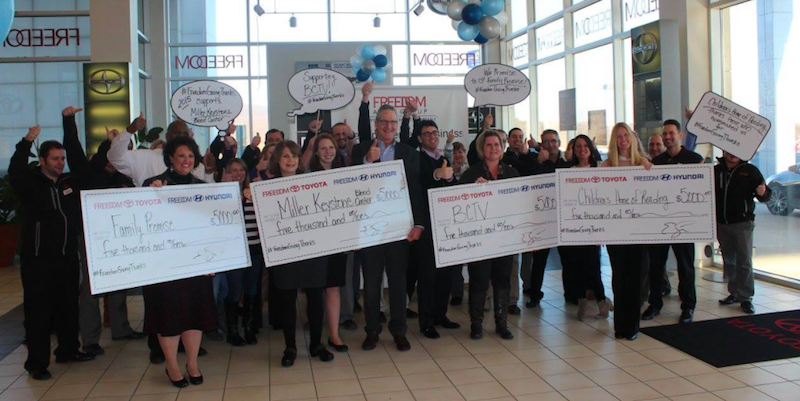 Our staff at Freedom Auto Group truly believes in the Life Improvement Business. We believe that we all can give in some way; time, talent, and/or treasure. 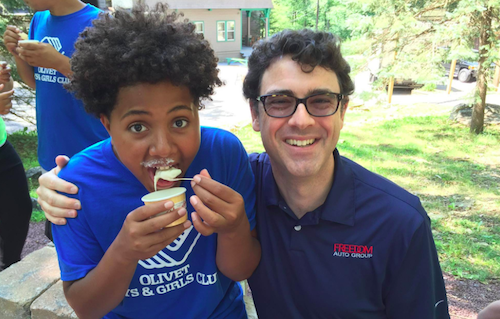 We volunteer at Ben Franklin Elementary School reading to third graders, we do hash tag events where we take fun pictures of people and post them on social media to help raise awareness of organizations. We also house the Meals on Wheels program and help with distribution in the Hamburg area. We scaled a wall to help Bethany Children's Home. We joined with Beauty After Bruises with their annual bowling tournament as well as helping to feed underprivileged people with Team Scott Inspires. This is a very small sampling of everything which we do. Some of the other organizations which we help though time, talent, and treasure include - PA Breast Cancer Coalition, Boys & Girls Club of Harrisburg, Central Pennsylvania Youth Ballet, Caitlin's Smiles, The Caring Cupboard, Girls on the Run, Olivet Boys & Girls Club, Leadership Harrisburg Area, Berks Connections/Pre-trial Services, Gilmore-Henne Community Fund, Berks Chamber of Commerce, Centro Hispano, ALS Association, Juvenile Diabetes Foundation, Berks Arts Council, Rotary Clubs of Berks County, Wilson Education Foundation, Mother Maria Kaupas Center, John Paul II Center, and many more. We have a food drive in the fall to help feed hungry families in the Palmyra area. Our Life Improvement Specialists gave a $5.00 donation each Friday in the month of November and were allowed to wear jeans, with all of the money going to the Caring Cupboard. We also gave additional discounts on vehicle purchases with the donation of non-perishable items. We collected 1 1/2 tons of food! We participated in two different walks this year. We had stations at each where the walkers received water bottles and an opportunity to have their picture taken where they then posted it on various social media sites. Freedom then donated additional money for each hash tag and picture posted. It is a wonderful way for the charity to raise awareness. We donated $3,385 to the organization. 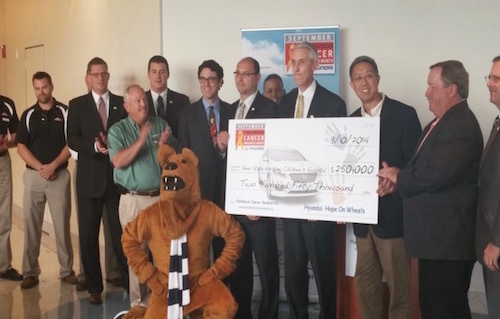 Our Life Improvement Specialists collected a car full of school supplies for the Boys & Girls Club of Harrisburg. 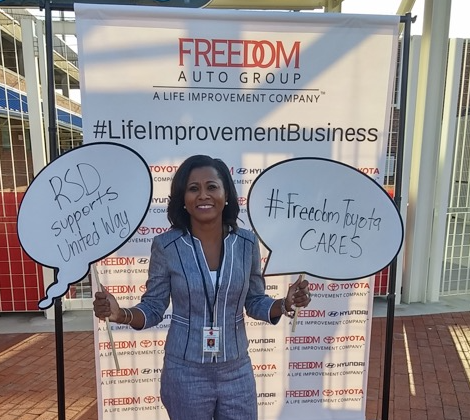 Each Friday in the month of October, our employees were allowed to wear jeans with a donation of school supplies. We also asked the community to join in our collection and with do so, we collected many supplies to help children in Harrisburg. We also sponsored a Halloween party for the children to come to and enjoy. We had a costume contest, played musical chairs, ate pizza, and shared plenty of candy. A fun time was had my all! We also donated over $10,000 to the Club!